Having eager eyes and high hopes describes the current state of many in the international crypto community as they await the SEC’s approval of a game-changing Bitcoin ETF. The decision, which, if successful, would simplify the purchase and trade of Bitcoins, could herald a defining shift in the path to mass adoption of cryptocurrencies. With 2017 reaching a record number of successful blockchain projects, a greater number of hopeful initiatives are competing for similar success in 2019, putting blockchain-based platforms and their popularized, closely-associated launch events at the forefront of investor anticipation around the world. While the strides of ICOs in 2017 and the first half of 2018 generated a hefty interest towards blockchain-related developments, recent studies show that the exploration and deployment of the new foundation technology have yet to gather pace globally. According to a Gartner survey conducted earlier this year, 65 percent of CIOs (Chief Information Officers) stated that their organizations were engaged in some level of planning/experimenting with the technology’s potential uses, or that its implementation was on their radar. Despite the technology being widely explored by companies in nearly every industry, currently, only one percent of organizations have actually invested in and deployed blockchain implementations in their operations. So why, despite all the buzz and promise surrounding blockchain technology, is there still so much hesitation to utilize it? The central issues surrounding the present low adoption rate of cryptocurrencies among the general public can be largely attributed to four main challenges: a lack of sufficient and widespread information, regulatory issues, concerns regarding scalability, and concerns regarding the security of blockchain technology. Many are still in the dark when it comes to understanding the true technical abilities of blockchain technology, due largely to its sheer complexity, and as such fail to see any reasons why it should be implemented over existing, conventional tools. For the average Joe to understand encryption, smart contracts, and the core buzz of blockchain distributed ledgering, a fair amount of research needs to be done. The frequently cited lack and ongoing debate of uniform regulation on value-based blockchain networks remain a key factor behind the hesitation to utilize them. Big operators in the market, such as financial institutions, find it difficult to navigate regulatory compliance and related issues when it comes to crypto, therefore making it simpler to avoid the acceptance of cryptocurrencies altogether. The dramatic increase in active users on popular blockchains has given rise to a critical handicap in the current technology: namely, the inability to effectively support a large number of users. Blockchain networks have extreme difficulty handling high transaction volumes, with networks like Ethereum currently plagued by slow transaction speeds and high fees per transaction as a direct result. Despite being rightly praised for their high level of security, inherent to their design, blockchains do contain a certain level of risk which is actually in the interface between the users and the network. In particular, they are 51 percent more vulnerable to attacks where a miner or group of miners on a blockchain network control more than 50 percent of its total mining power to control transactions and subsequently double-spend coins. Despite the impediments currently facing blockchain technology, mass adoption may not be as far into the future as many think. As more innovative, decentralized projects rise to the surface within a myriad of industries, from financial services to real estate and accommodation, greater attention is being garnered among individuals looking for next-generation advancements in the ways we live and interact. Helping the spread of information along, a surge in the proliferation of videos, talks, and articles has emerged in greater numbers than ever before seen on the topic, reaching widening audiences among a diverse group. Along with greater information, simplifying the practicality of cryptocurrencies and blockchain usage will go a long way in increasing their adoption rates among general users. A number of projects have already set to work on this, concentrating efforts on improving the simplicity and usability of blockchain platform features such as user interfaces, gearing their networks to the wider public with more user-friendly architecture. In the same spirit, an influx of easy-to-use crypto wallets has sprung up in a myriad of decentralized projects, designed to accelerate the user onboarding process by smoothing the entrance of new-to-crypto users. 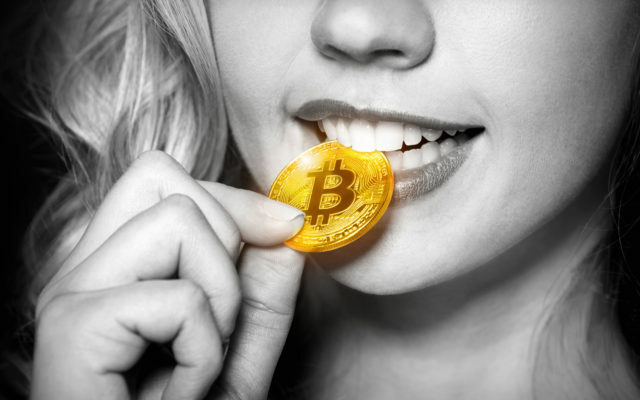 Crypto and blockchain technology have a large supporting community on Twitter, Telegram, and other online platforms, but the growing support among industry leaders (such as software giant founder John McAfee, or Top 5 FinTech Influencer Jim Marous) and high-level companies such as CME Group, Goldman Sachs, and JP Morgan suggests a strong base behind the push to widespread adoption. With the mounting support from influential leaders coming from a wide array of industries, the direction of blockchain technology’s place in the sphere of regulation suggests a positive outlook overall. Now that all eyes are on key issues, such as scalability, ideas and initiatives for solutions to the slow processing speeds and high fees are already well underway. One such solution might be “sharding” – a process involving the splitting of block verifications and running parallel subcommittees to collect and combine processed data, enabling a higher transaction rate per second. Other approaches might see the implementation of payment protocols utilizing separate channels (rather than on single chains verified through crypto network miners), verifying data from the root chain rather than block header hashes (bypassing the transfer of unimportant data), or simply improving capped block sizes and transaction malleability – all stratagems aimed at addressing the hurdles currently hindering blockchain technology from more widespread use. Despite the current challenges to mass adoption of crypto technology, positive shifts in industry opinion, increases in public awareness and the steady growth of the global crypto community are all contributing to the looming potential of blockchain technology’s widespread usage. As the innovation itself matures and critically, user-focused improvements are made, each new development is a step closer to a future where the real-world applications of blockchain technology and cryptocurrencies play active roles in our daily lives. Ophir Gertner is the Co-Founder of Smartologic Technologies, a blockchain advisory firm.